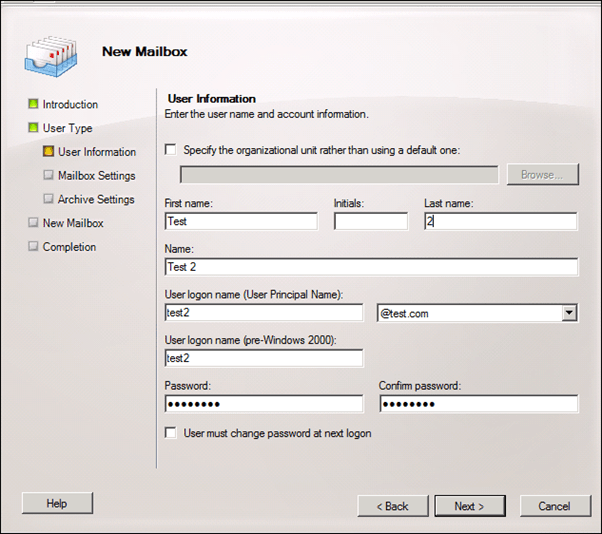 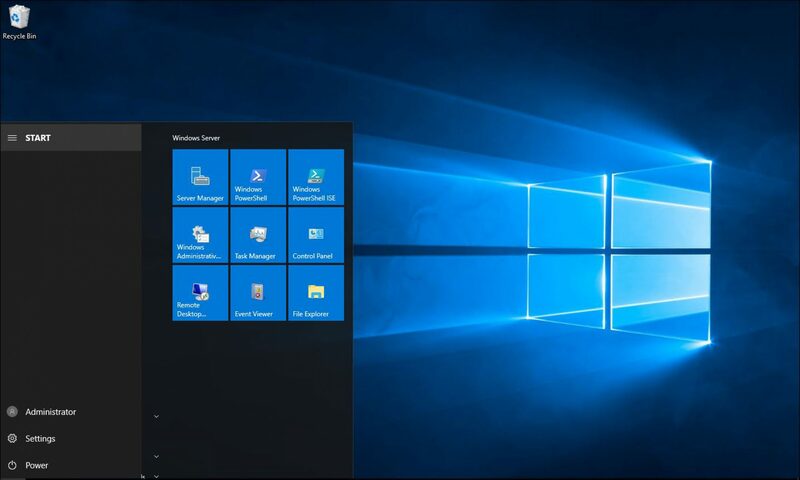 Answer: Since Exchange 2007 we no longer create new mailboxes using Active Directory, In Exchange 2007 and 2010 all mailboxes are created using the Exchange EMC. 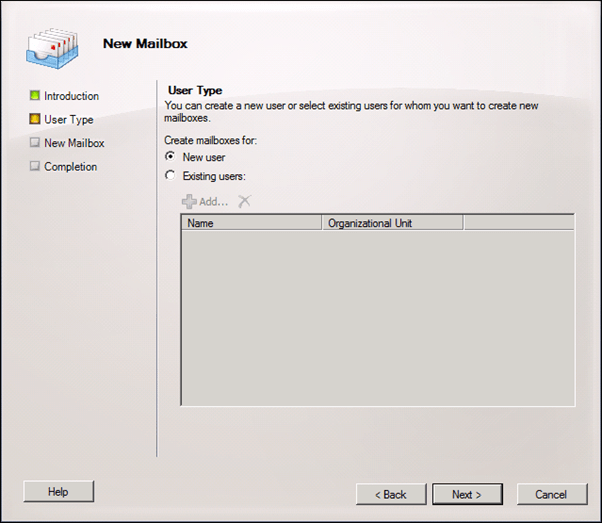 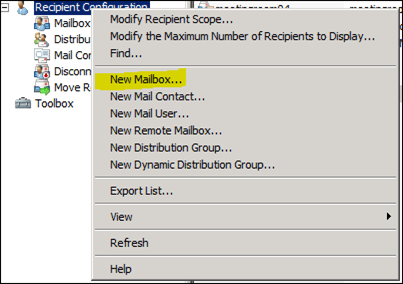 Open EMC -> Organisation configuration – >Mailbox -> Right Click and Click on New Mailbox. 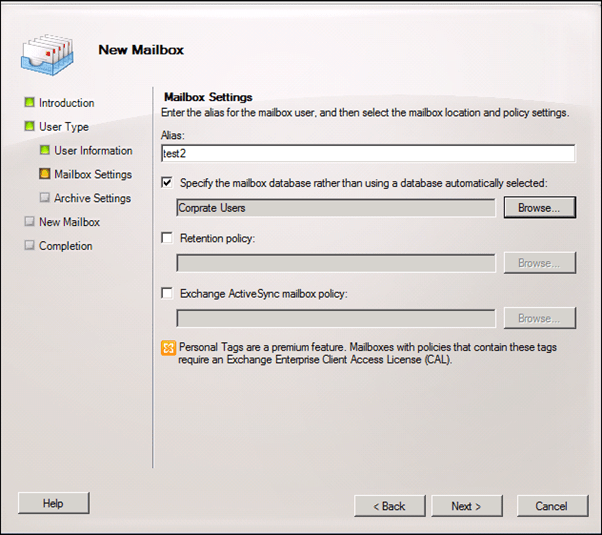 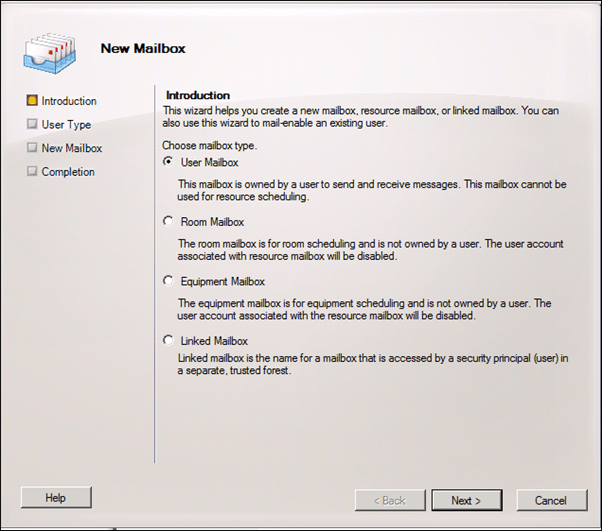 Select the Mailbox database, if not selected Exchange will randomly select one. 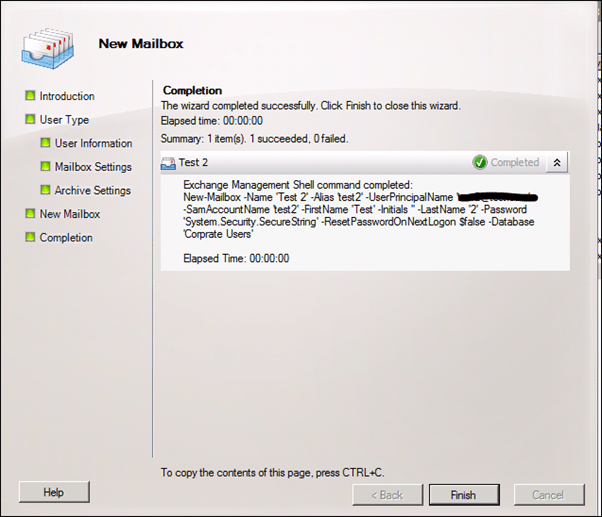 You can also select the Active Sync policy in this screen. 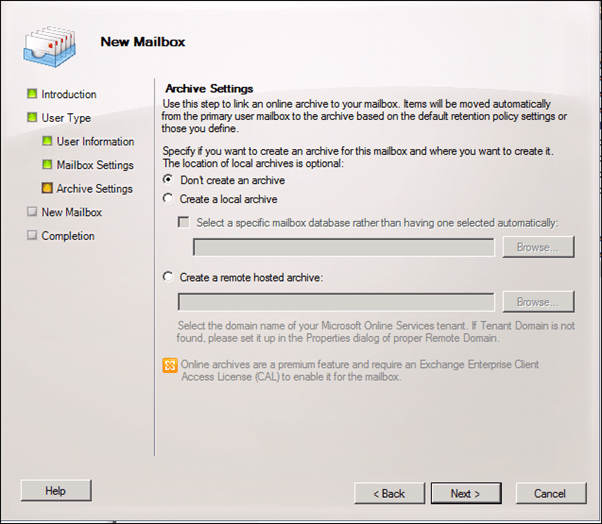 If using Exchange SP1 you can select the Archive database.